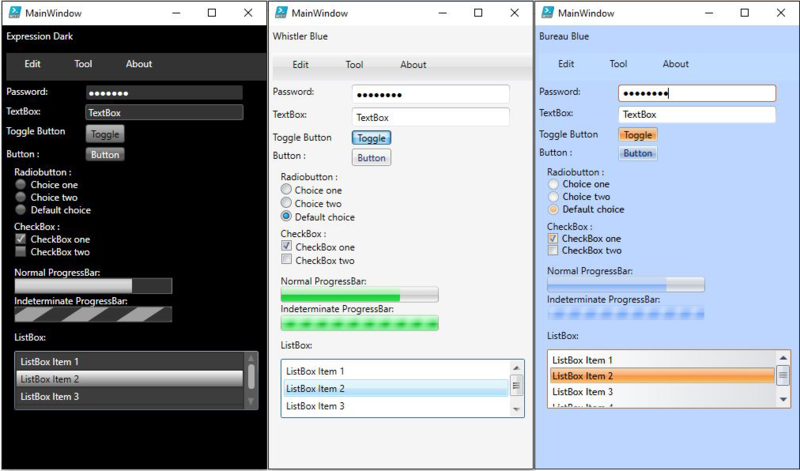 In this post I’m going to explain how to apply a theme on your GUI.There are many themes available on the web that you can apply on your WPF form. However, it’s solely explained for C# language use. 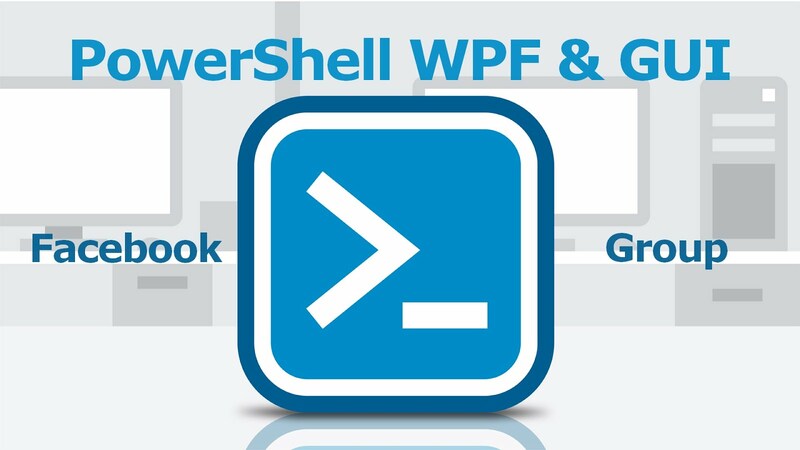 In our case, we need it for powershell so how do we do it? Don’t worry anymore! We are going to fix this. J I’ll show you how to integrate two kind of themes in this article. And for the second, it’s a project started by Paul Jenkins which uses a Metro theme. You can find it here: http://mahapps.com/ . To use its full potential you need to have .NET framework 4.5 installed on your computer. One thing I haven’t introduced in the first Part of this series is the use of Stackpanel. The StackPanel is a simple and useful layout panel. As its name imply, It stacks its child elements below or beside each other, depending on the orientation. That coupled with HorizontalAlignement and VertcalAlignment properties; it becomes easy to handle elements. You don’t have to specify explicit value for element’s position, it will automatically fits the space available. 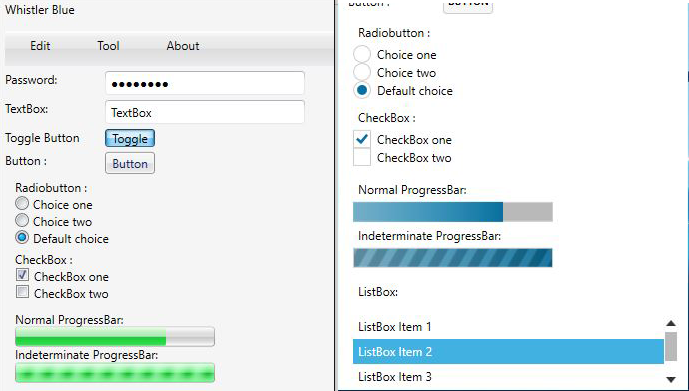 It will become very handy when we will create dynamic GUI later. First, How to get the theme? And you can see in the "Solution Explorer" window at your right that a new folder Themes containing different XAML files has been added in the treeview. Now, that we have everything we need, we can edit our xaml. Before, editing your xaml, make sure that your form appears normally and that no error pops up of the powershell console. Those lines are used to tell that some external resources will be used in the form. As you can see here, we’re using the Bureau Blue theme located in the folder Themes as resources. And that’s all you needed to apply the theme. Fast and easy! Now let’s move on, here we are going to use dll resource for our theme. This is the theme I like the most: Mahapps. To install this package, you should have at least version 4.0 .NETframework. 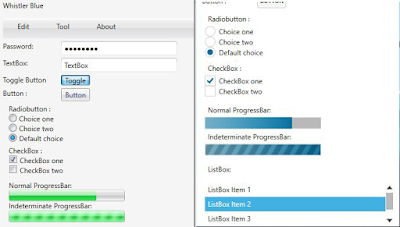 To change the version of framework of your project, double clisk on Settings in the Solution Explorer; a new window will appear and change the target framework to 4.0. If you chose, higher version of framework when creating the project, you can skip this step. You should have this message in your package Manager console after executing the package installation. 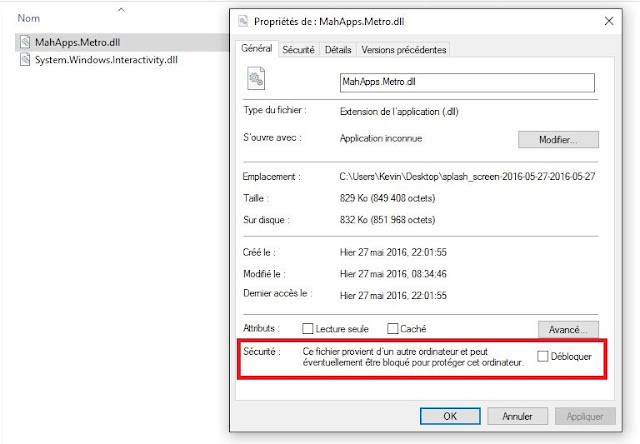 Copy MahApps.Metro.dll and System.Windows.Interactivity.dll. Create a new folder in where your ps1 file and xaml is and rename it to “Assembly”. Paste all the *.dll in this new folder. In my case, I renamed it into “window.metro.xaml”. Don't forget to do as well with the "window" closing tag. Don't worry! This is a normal issue. The dll file is just blocked, this sometimes happens if the file comes from another computer. To solve the issue: For both files, you need to open the file properties > go to general Tab > Security > check unblock and apply. It's beautiful don't you think? I suggest you to go take look at their website, to see what you can do with other controls. You can download all files used in this post here. I am trying the theme but getting error in Powershell console, can you advise? Exception calling "Load" with "1" argument(s): "There are multiple root elements. Line 15, position 9." It looks like the code on the article might be different than one in the source code. Thanks to your sharing source code, I was able to copy/paste from it and no longer got the error.